A grieving daughter is looking for the man accused of killing her mother. It's a man she never expected would turn her life upside down. 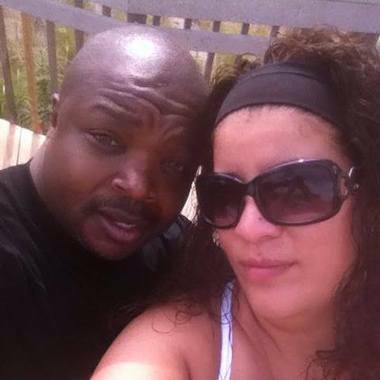 Family members say Olga Dejesus was head over heels in love and engaged to be married to Lamont Stephenson. She was the happiest they can remember. But Essex County prosecutors and Newark police say the man she planned to grow old with took her life. "Everything I do reminds me of her. I couldn't look myself in the mirror, but I would just see her," said Cassandra Dejesus, the victim's daughter. "I feel like that wasn't supposed to happen, at least not that way." Dejesus' daughter knew something was wrong last October when she didn't hear from her mother, so she went to check on the 39-year-old at their home at the Stephen Crane Village Houses in Newark. She found the family dog dead just inside the door. "My best friend said, 'Cass why don't you just go upstairs?' And I told her, 'I don't want to go upstairs, because if I go upstairs I'm going to see something I'm not going to like,'" Cassandra Dejesus said. "I see her in the bed, she was almost turning blue. So we call for emergency responders. This was not supposed to happen not like this, no signs, no clues of anything," said Alexander Dejesus, the victim's cousin. Stephenson hasn't been seen since. Detectives spotted him on surveillance cameras at Newark Penn Station shortly after the murder. They believe he went to Norfolk, Virginia or Myrtle Beach, South Carolina. Family members say the couple reunited after their 20-year high school reunion. They never saw any signs of problems. "Everything looked normal. He fooled us and he changed our life forever," said Felix Dejesus, the victim's brother. "I just want to know why, just why?" Cassandra Dejesus said. "Do the right thing. You got family; a lot of people are suffering over this. Turn yourself in," said Marco Dejesus, the victim's brother. Thoughts? Last year an article came out from nj.com detailing the "30 Most Wanted" fugitives in New Jersey and Stephenson was among the very first mentioned. I am assuming that unfortunately he is still at large as of this posting date (3/5/2017) since there's been no updates since then but should that status change feel free to email our contact form. Usually when a domestic murder occurs, it's because one of the two people in the relationship is either abusive to the other, or they've broken up. That doesn't appear to have happened in this case. I'm puzzled as to what Lamont would have gained from allegedly murdering Olga, hopefully when he's captured we can learn the circumstances that led to Olga's death. 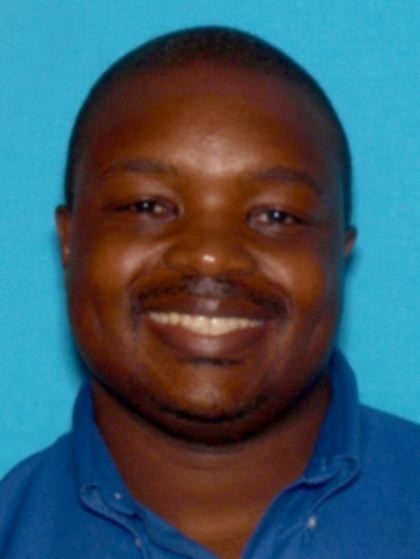 Lamont Stephenson is listed among Newark's Most Wanted fugitives, meaning he's still at large. Moving the thread on Stephenson to fugitives on TV since we now have confirmation he will air on the September 10th, 2017 episode of The Hunt. -Lamont was described as a quiet nerdy type both in high school and as an adult. and partly why Ivy DeJesus's friends and family were shocked she wound up with him. -Had very few friends and family it seemed in Jersey, even though he's said to have family down south. He seemed basically a loner besides with Ivy DeJesus. -He's described as a quiet friendly guy who liked to quote scripture. -Lamont worked at Pep Boys, so perhaps he might be working as an auto mechanic or doing something related to automobiles wherever he's hiding. Lamont Stephenson just had a federal warrant issued on September 8, 2017 and has been added to the FBI' featured fugitives site and could now be considered a Top Ten Most Wanted potential. While not wanting to get any family members of Ivy DeJesus's hopes up, any fugitive added to the violent crimes and murders section on the FBI website can automatically be assumed to be a potential top ten case. From my understanding, all the FBI field offices submit a candidate or candidates and a panel chooses from the cases submitted and then the director approves or doesn't. So it would be a matter of the Newark division submitting him for consideration and then the process goes from there. This is unusual that Stephenson was added after his airing, as usually the FBI adds the fugitive before The Hunt airing in preparation for the case. Has me wondering if The Hunt received tips Stephenson could possibly be overseas or perhaps promising tips in general led to the FBI addition. Is it possible that Lamont could be hiding out in New York City, or fled to a location somewhere in the Caribbean? Like the U.S. Virgin Islands, Jamaica, or the Bahamas?